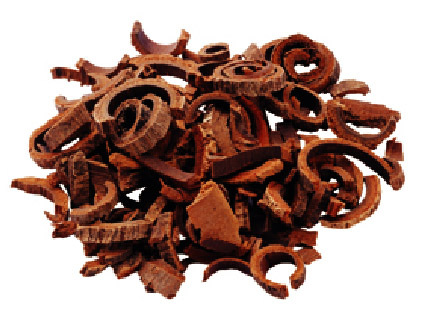 In “Shang Han Lun”, Magnolia Bark has been used in the following combination: ”Da Cheng Qi Tang”, “Xiao Cheng Qi Tang”; “Hou Pu Jiang Xia Gan Shen Tang” etc. “Ban Xia Hou Pu Tang” in the gynecology section of “Jin Kui Yao Lue” is used to treat “Globus Hystericus”. The symptom of this ailment is similar to the sensation of having a preserved plum stuck in the throat unable to swallow or to spit it out. In recent period, “Ping Wei San” is popularly used for gastrointestinal distention. But the thick peel of Magnolia Bark is not removed in “Ping Wei San” and the herb has not been fried with ginger juice, the taste and smell of the herb is quite strong, so most children refused to take “Ping Wei San” due to its taste. The plant of Magnoliaceae family is used for abdominal bloating, irregular peristalsis, diarrhea, and poor appetite. The plants in this family are regarded as the medicinal herbs for the gastrointestinal system, as they are known for their functions in stomach invigorating, excitation, and anti-bloating. When stomach bloating occurs, taking “Ping Wei San” will relief the symptom and improve appetite. “Ping Wei San” is suitable for adult and children. Da Cheng Qi Tang (Major Rhubarb Combination) and Xiao Cheng Qi Tang (Minor Rhubarb Combination) are applied to conditions that are more serious than stomach bloating, such as dry and hard stool, lack of peristalsis, or symptoms of fullness (滿 man), stuffiness (痞 pi), dryness (燥 zao), sthenia (實 shi), and indurated (堅 jian). The difference between Major and Minor Rhubarb Combination is the quantity of Magnolia Bark used in the formulation. The higher ratio of Magnolia Bark refers to the “Major” Rhubarb Combination, whereas the smaller ratio of Magnolia Bark refers to “Minor” Rhubarb Combination. *The article is from "Dr. Bu Tao Chang 's Herbal Regimen”. Dr. Bu-Tao Chang, recognized as the master of Shang Han Lun (傷寒論), is a very famous TCM doctor in Taiwan with more than 40 years of clinical experience. Dr. Chang is well known for his unique perspective in TCM and simplicity in prescribing TCM by keeping his prescriptions simple yet effective.